Please note, certain items on our website may be deemed oversized or have unusual dimensions as defined by our shipping carriers. All vehicles’ names are sorted alphabetically. Please select the vehicle’s brand first. For example, if you would like to buy auto parts for ALPHRD TOYOTA, click Vehicle List under the Toyota brand first. 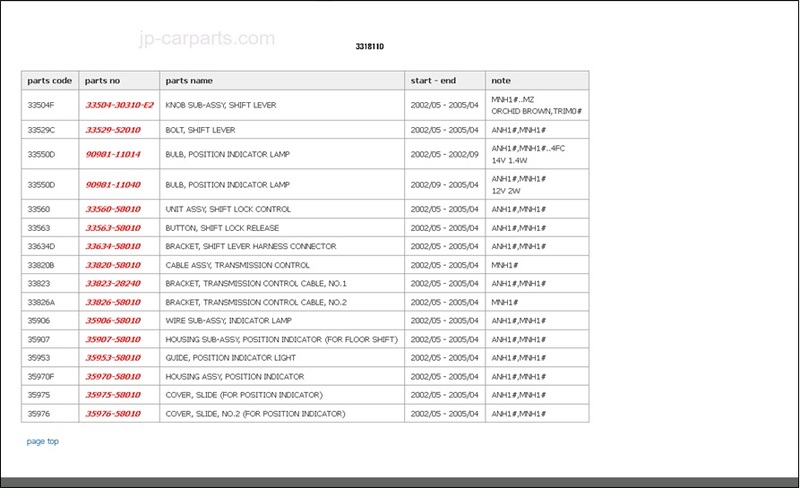 Select the vehicle’s name from the alphabetical listing on the top of the page. 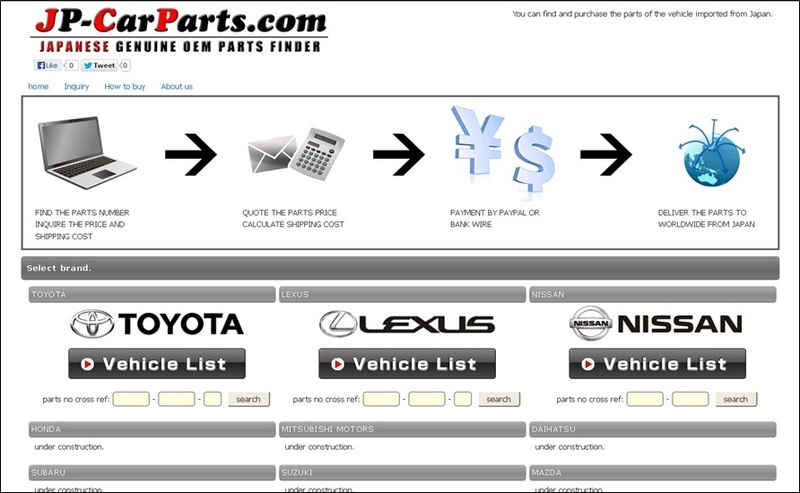 For example, find auto parts for "ALPHRD TOYOTA", click "A" on the top of the page. Then, click on the "ALPHARD" under the vehicle name that appears. 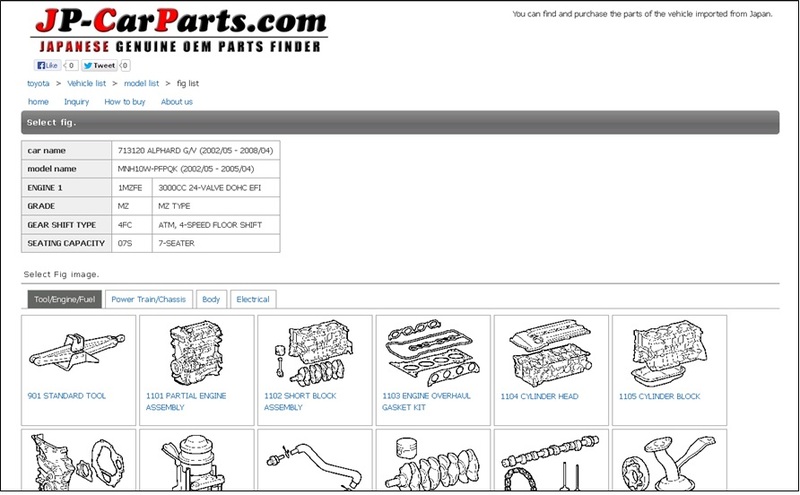 Select the category of the parts you’re looking for. 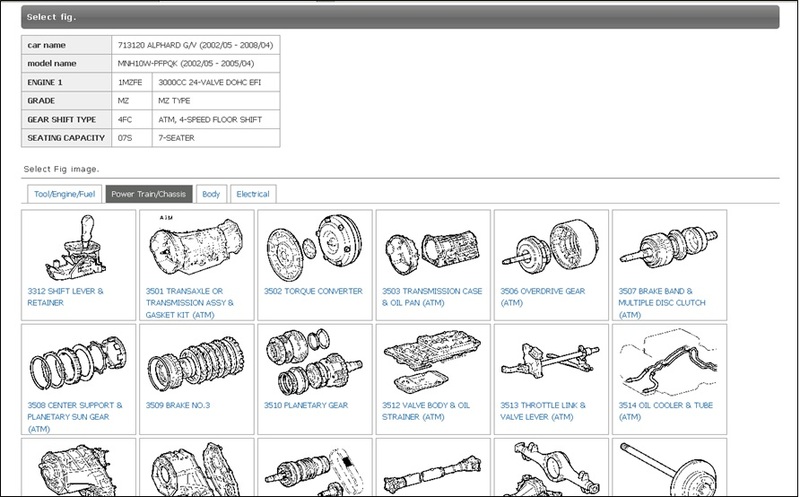 Under different categories, you could see the images of various auto parts. Please clink the image of the parts. After you click the image, more details of the parts will provide in the next page. 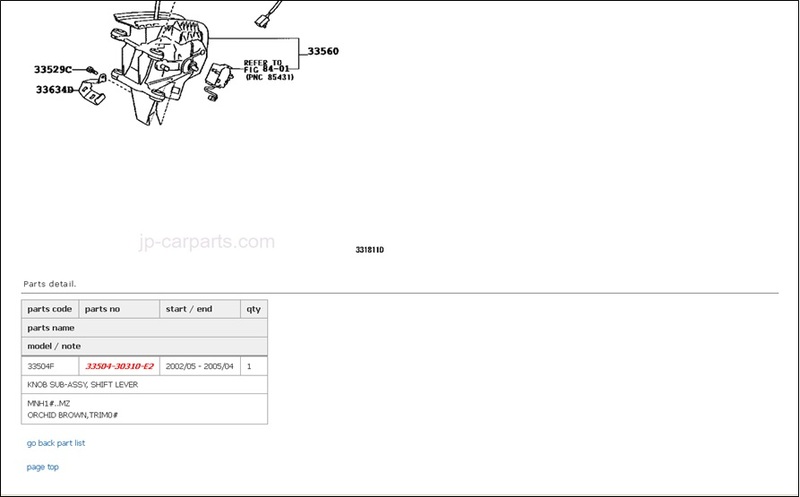 From the image displayed, you could find the parts by searching the parts code. 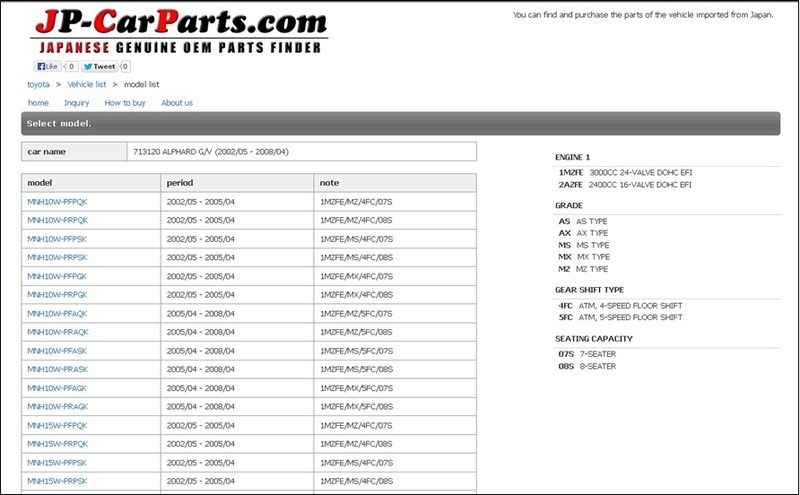 Detailed information for each auto parts are listed below along with the part code. Please check the "parts name", "start-end" and "note" carefully before you place your order. 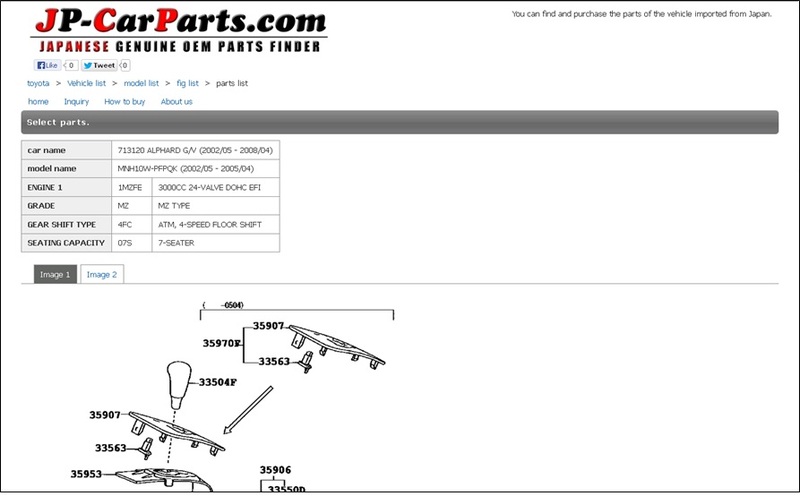 Once you would like to purchase the parts, please click the "Parts Number" marked in red. Please scroll down the page, detailed information about the auto parts is displayed. Click "Add Inquiry" (gray button), the parts will be added into your inquiry form. Back to our homepage, you are able to find more parts you are interested in. 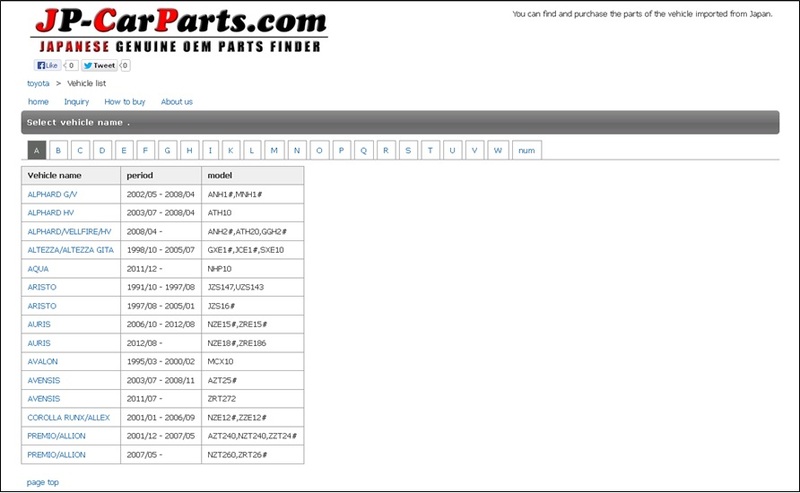 When you finished, click "Inquiry" on the top of our webpage, you could see all the auto parts you added. Please, fill out your information on the inquiry form and submit. We will contact you at our earliest convenient. We hope you have a great shopping experience with us!